It is a common problem on Mac OS X notebooks (MacBook Air , MacBook Proc) with builtin Video Camera to have issues with Camera in Facetime, Skype and other applications which use it. Considering that the Camera is physically working on the Mac (it did not burn etc.) 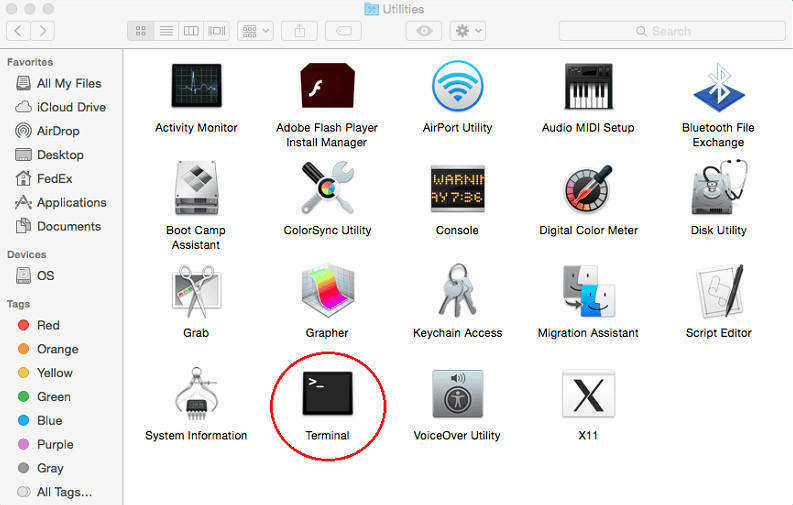 and it stooped working suddenly (is not detected by Mac OS applications which support it), the most common cause for that is the fact that another application running on the system is using it. Webcam spying is a real issue of today so to secure yourself partially you can place Oversight App to get notifications when an application starts using Mac's Webcam or audio. 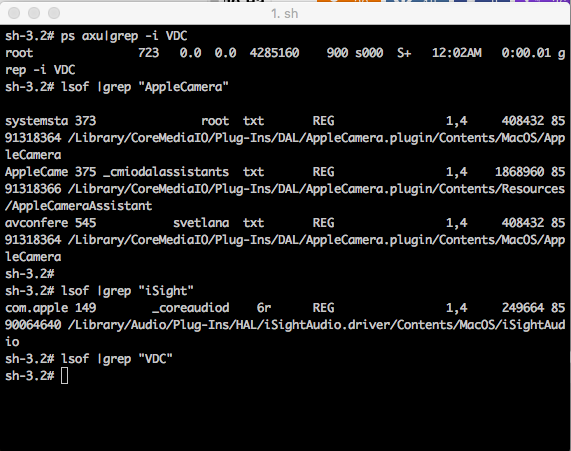 Open Finder and run Terminal to check whether the Web Camera is used by some of the Mac running processes. MacBook-Air:Volumes root# lsof | grep "AppleCamera"
You should see one or more results. If you don’t see any results, try running the following commands as well. One of the below commands may be necessary if you’re using an older version of macOS. MacBook-Air:Volumes root# lsof | grep "iSight"
MacBook-Air:Volumes root# lsof | grep "VDC"
If VDCAssistant process shows running kill it. Get Info String: 10.1, © Copyright 2002-2014 Apple Inc. All rights reserved. Get Info String: 10.1, © Copyright 2001-2014 Apple Inc. All rights reserved. This entry was posted on Sunday, September 16th, 2018 at 12:10 am	and is filed under Mac OS X. You can follow any responses to this entry through the RSS 2.0 feed. You can leave a response, or trackback from your own site.